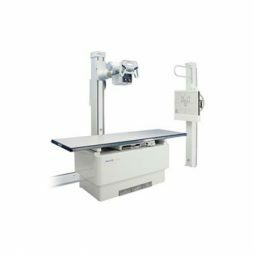 The EV650 elevating radiographic table is designed for general purpose radiography and is ideally suited for modern hospitals, urgent care centers, clinics and private practices. 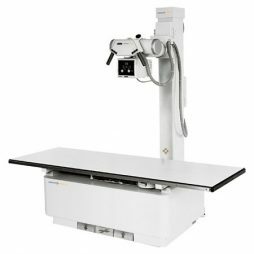 The EV650 reflects the Del Medical design philosophy — to offer our customers the highest quality radiographic equipment available anywhere, at prices that maximize return on investment. 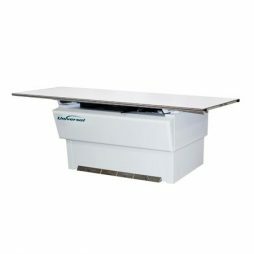 This sturdy table is ideally suited for a variety of general radiographic needs including small hospitals, clinics, ambulatory care centers and private offices. 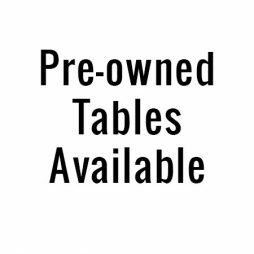 The floating table top glides freely on a precision roller bearing system and can support patients up to 700 lbs. (318 kg). 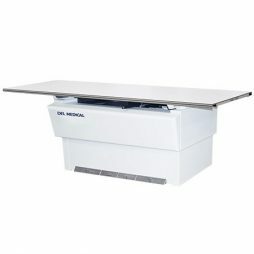 Universal’s EV 650 is a rugged 4 way float top elevating table designed to produce high quality images with effortless patient transfer and positioning. 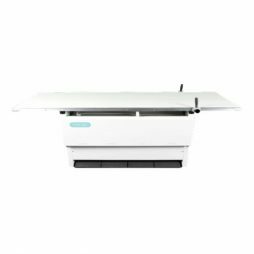 The design of the EV 650 makes it a prime candidate for use in hospitals, clinics, private and group practices. The EV 650’s float top was designed to allow the top to go down to 22.25″ (56.5 cm) above the floor for safe and comfortable loading of a full range of patients from pediatrics to geriatrics and mobile to immobilized. 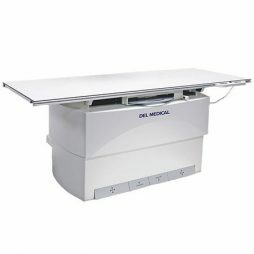 The extensive travel eliminates the need for step stools thus providing a safe environment for both patient and operator. 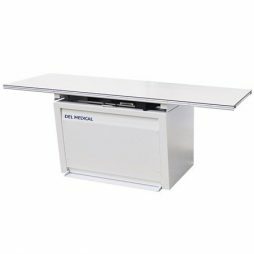 The operational table height is adjustable at time of installation for ideal operator comfort and transferring gurney patients onto the table and back again with ease.